JAYRAJ SOLAR functions as a one-stop solar shop and we offer our OPEX financing solutions for commercial and industrial entities so that our potential customers can enjoy the benefits of solar without having to bear any additional costs. With ZERO UPFRONT INVESTMENT customers can install Solar PV systems at their business premises by signing a Private Power Purchase Agreement (PPA’s) with investors arranged by JAYRAJ SOLAR. 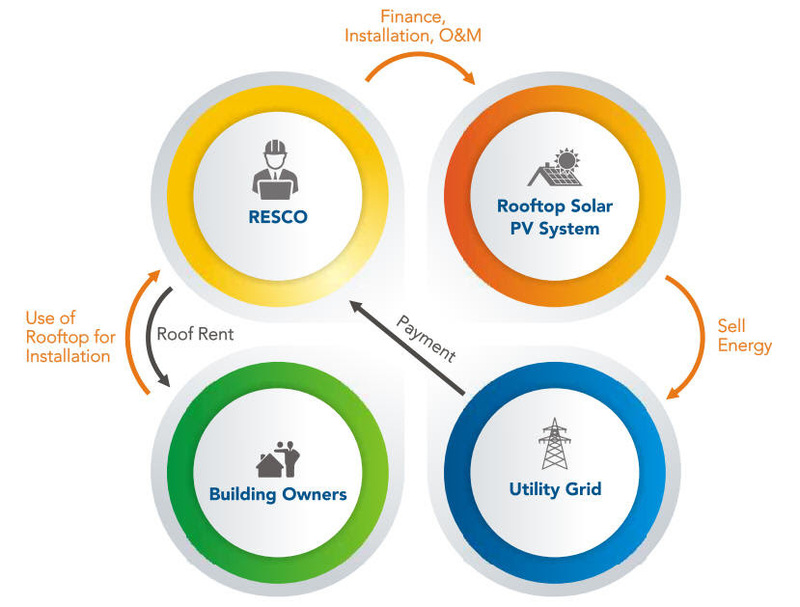 After this, customers can enjoy constant solar power supply and pay for units consumed (pay per use) without being worried about plant maintenance or warranty. This will be taken care by JAYRAJ SOLAR completely. JAYRAJ SOLAR has a researched in this area for years and we understand that solar financing can be complicated and time consuming, so we have partnered with well established financial investors that provide customized solar financing programs to meet your financial needs and expectations. JAYRAJ SOLAR’s PPA gives the advantage to lock-in current energy rates from 15 to 25 years, in order to give our customer clarity about the future energy costs. The unit prices are fixed at the inception of the PPA tenure and these are lower than the prevailing market prices for conventional power. We are here to help you make the process as easy as possible. Contact us today to get more in-depth idea about the financing options are available for your organization. We will help you further by sending an Energy Expert to your premise so as to assess your energy needs and give you with more information on how JAYRAJ SOLAR can leverage your business with the right OPEX solutions. At JAYRAJ SOLAR, we have financing options that are well suited to meet your business budget and needs. We assure to recommend the best solution that provides the most competitive outcome compared to current power costs. JAYRAJ SOLAR's arranges for a third party investor who will own the solar power plant at your premises and you have to pay only for the power used. Basically, we at JAYRAJ SOLAR and the respective Investor become your power provider. However, certain plans may require you to cover some installation costs. JAYRAJ SOLAR will take care of the entire installation process of the solar power plant including - design, procurement, installation, commissioning, financing, insurance, operations and maintenance. Our basic concept in transaction comprised of the Monthly payout for energy produced. JAYRAJ SOLAR promises immediate savings on monthly energy bills, reduced usage of DG sets, and reduced carbon footprint. The Investor arranged by JAYRAJ SOLAR will own the system during the entire term of the PPA. (Buy-out options are also available). JAYRAJ SOLAR will install and operate a Solar PV plant at your premises that ultimately transfers to you (either at the beginning or the end of the agreement period). 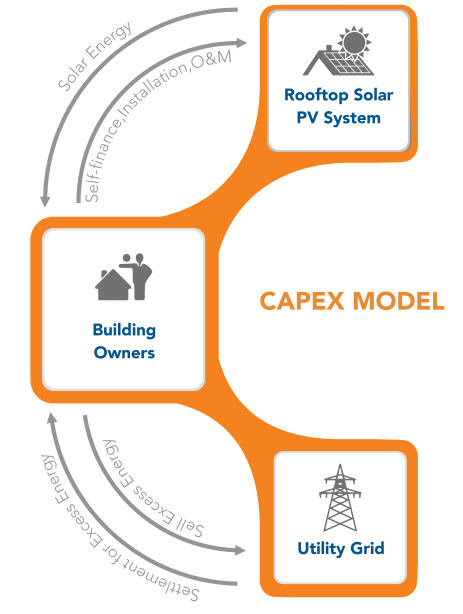 Typically, under this model, the power consumer pays some upfront cost and then pays equal installments over a few years. 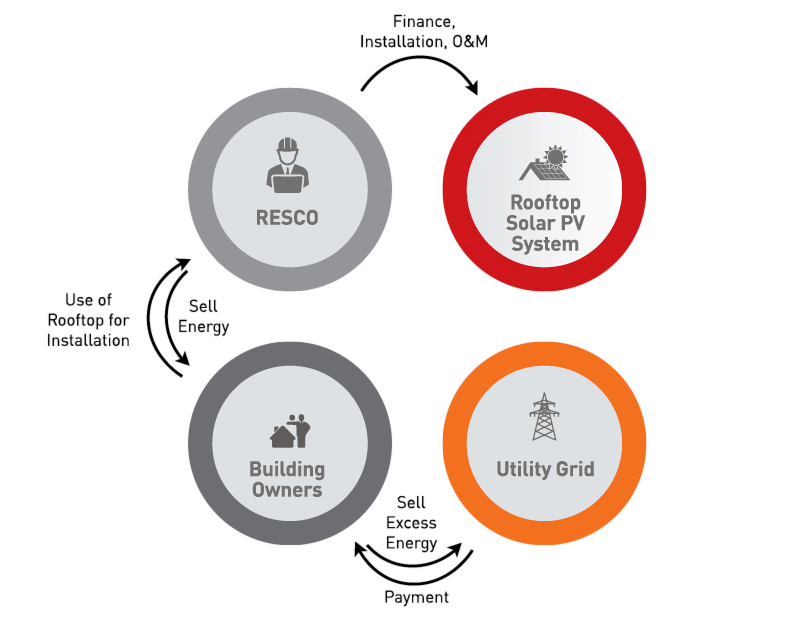 Thereafter, the ownership of the project is transferred to the power consumer. JAYRAJ SOLAR promises energy savings and a reduced carbon footprint + system ownership, paid off over the lease period. A Third Party Investor will own the system (or maintaining interest in it) until the end of the agreement, after which you become the outright system owner. JAYRAJ SOLAR will install the solar PV plant at your premises where you take full ownership from day 1 and all risk transfers on commissioning and system handover. We handle design, procurement, installation and commissioning processes. We charge for our Basic service, maintenance and replacement costs. We offer separate service and maintenance contracts to assist with the management of your system. JAYRAJ SOLAR promises complete cost savings from day one and a reduced carbon footprint. Tax savings under Accelerated Depreciation is possible as well. You will own the system and take on all associated risks.